Was born and raised in Dhahran, Saudi Arabia. She graduated with honors from the University of Texas at Austin with a B.S. in Nutrition. After interning in several hospitals around Austin and becoming a Registered Dietitian, Dr. Grosch went on to attend Parker College of Chiropractic in Dallas. After completing her schooling and spending a trimester working in an underserved part of Mexico City, Dr. Grosch graduated with honors earning her Doctorate of Chiropractic in 2010. 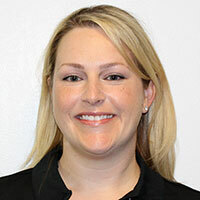 After suffering a chronic and painful elbow injury herself, Dr. Grosch developed a true passion for treating soft tissue injuries, and her mission to find the best treatment possible for her patients led her to join Airrosti Rehab Centers in 2013. She enjoys treating a wide variety of patients- from high-level athletes with shoulder injuries to new runners with foot pain, desk workers with low back pain and new moms with neck strain- and everything in between! In her spare time, Dr. Grosch loves to travel, camp, hike and enjoy the outdoors with her husband Jeff and their big mutt Beaker. She can often be found enjoying live music and festivals around Austin, and is always trying out new restaurants. She is an avid skier, terrible golfer, casual Crossfitter and also loves the occasional kickball or softball social league. Dr. Danielson received his Doctorate of Chiropractic from National University Health Sciences, Chicago, IL and is a graduate of Indiana University. Dr. Danielson was a multi-sport athlete in high school and was recruited to play college football, having been a Captain of the Indiana State Football Championship team his senior year. Injuries derailed his college aspirations and it is with this personal knowledge of injury and rehabilitation that he came to study chiropractic medicine. A patient-centered provider, Dr. Danielson believes his patients are active participants in their diagnosis and recovery and that listening to the patient is as important as the subsequent treatment. Dr. Danielson takes a wholistic approach to care and his patient's nutrition, sleep and quality of life are considerations as part of an office visit. 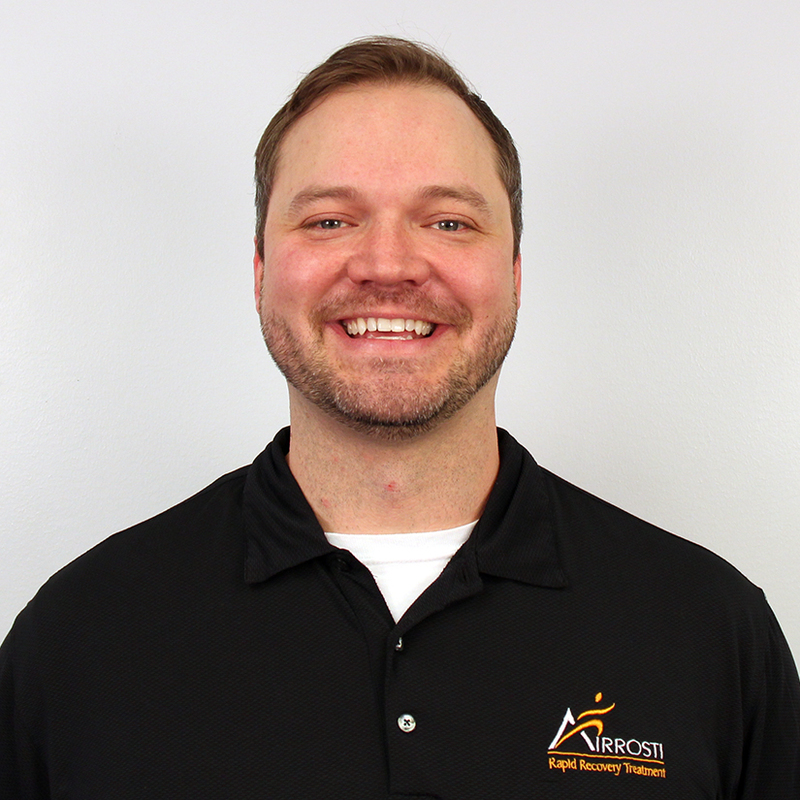 He is a lifelong learner and continually expands his understanding of biomechanics and functional movement so that his patients can benefit from the latest science of chiropractic care. Dr. Danielson enjoys the Austin music scene, the beauty of the Texas Hill Country, college and pro sports and working out in the gym. A favorite past time is spent with his rescue dog at any nearby river and stream. 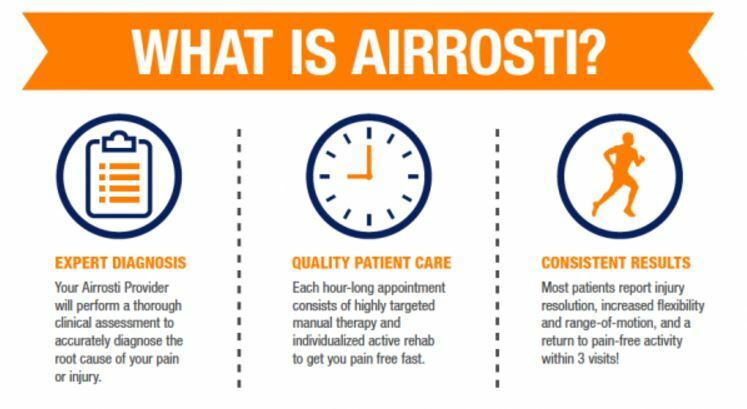 Airrosti Rehab Centers (Airrosti) is a healthcare group that employs and trains skilled providers who specialize in delivering high quality, out-come based musculoskeletal care.